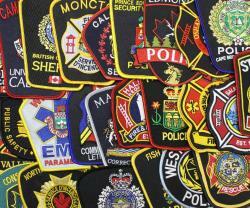 To add to the convenience of our uniform program, we can also supply your shoulder flashes/crests. After purchasing, these can either be shipped back to the customer in full or we can inventory a portion of them to be attached to any future shirt/jacket/sweater orders. Please contact us for more details.